AxonWare - Europe's leading source for software subscription & licensing. ProgeCAD is the leading CAD software based on Intellicad. ♦ Sketchup Pro The easiest way to draw in 3D. With Sketchup Pro rapidly design in 3D (at unbelievable speed) then save to DWG. Pro is required if you use Sketchup in a commercial environment. 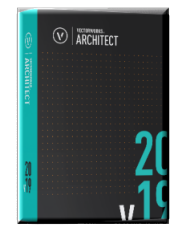 ♦ Vectorworks software is popular with architects and engineers across Europe. Firms have moved to 3D and want a flexible intuitive tool. ♦ AxonWare consulting division can assist you. ♦ Turn your Models into professional photorealistic images.